Virgin Australia is rejigging its schedule between Adelaide, Alice Springs and Darwin to support growth in these markets. From September 5, the airline is adding an extra two flights a week on the Adelaide-Alice Springs-Darwin route in each direction. There will also be changes to the flight times on the Alice Springs to Darwin service on Wednesdays and Thursdays, which will be an early evening service. 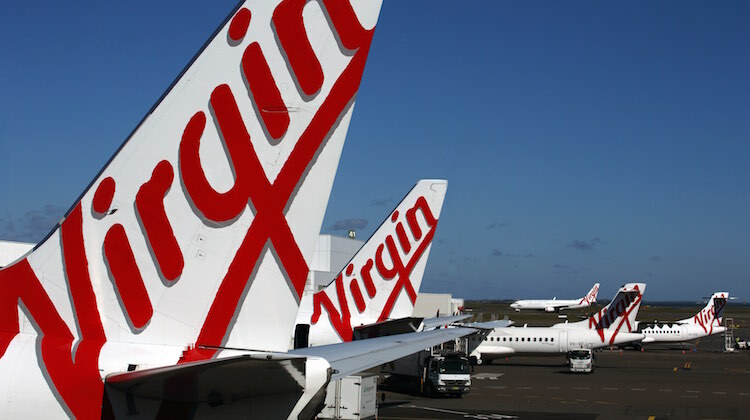 Virgin general manager of network and revenue management Russell Shaw said the additional flights and updated schedule would support local business and tourism growth, in addition to offering travellers more flexible flight options. “The updated timings will also enable business travellers to spend full working days in Alice Springs on Wednesdays, Thursdays and Fridays,” Shaw said in a statement. Virgin started flying between Adelaide, Alice Springs and Darwin in March 2015. The airline opened its premium passenger lounges at Darwin and Alice Springs airport at the time the new flights were launched. Based on likely pax loads Air North E170 would be a more likely fit. Why doesn’t someone offer late night departure from Sydney (Sydney-Alice) and then the aircraft returns to arrive post curfew? Must be better than the aircraft overnighting in Sydney. about time they added more flights.currently on the days that Virgin doesn’t operate and you can’t get a seat on Qantas it’s 20 hours on greyhound ex adelaide to alice springs. About time Virgin commenced a direct ADL – DWN if they want to be seen a s a genuine second full servic carrier. They sponsor Supercars and then expect pax to go via Alice.